This is a super simple recipe for Pumpkin Seeds. One of our favorite Fall Activities is visiting the pumpkin patch! 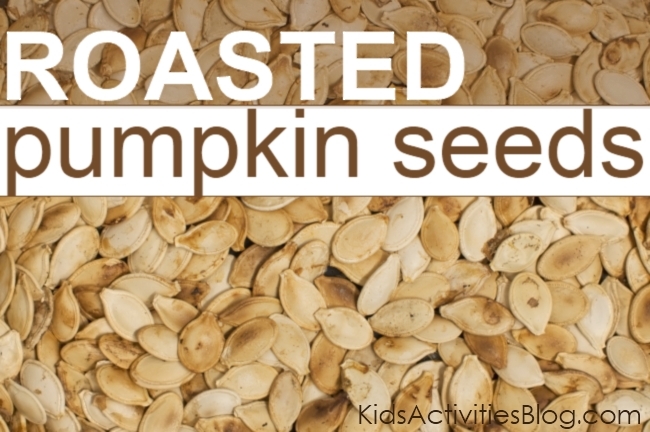 Our kids love picking out “their” pumpkin and I love roasting the seeds. We try and pick a pumpkin that is both pretty and – as we have 6 kids who are all getting pumpkins – manageable in size! To add an educational element to our snack preparation, we looked at the seeds with magnifying glasses, it was fun to find the “embryo” in the seeds. 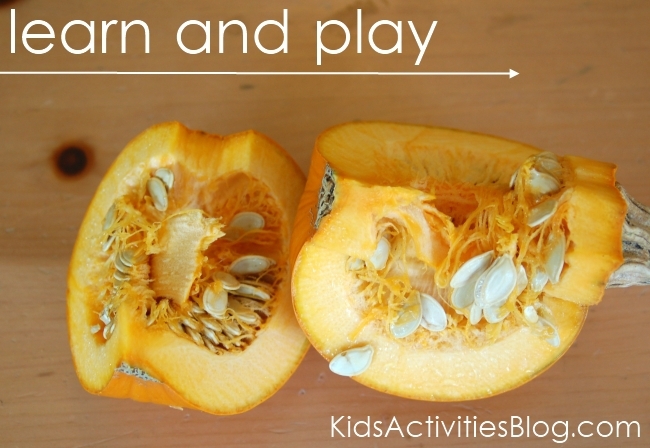 We broke open the shell to a couple of seeds and saw the inside of the seed where a baby pumpkin plant was just beginning to think about growing. We talked about how the pulp was the plant “food” and as the pumpkin rots, the pulp of the pumpkin helps give the seed nourishment as it germinates and grows. The absolute highlight of the afternoon was watching the kids separate the seeds from the gooey pulp. They *loved* the squishy textures! Wash your seeds to remove the remaining pulp. Pat them dry. Spray your pan with olive oil, spray the seeds with olive oil and sprinkle with sea salt. It is so easy my 4 year old makes it by herself! If you want a “sweet and salty” version, sprinkle a very light dusting of brown sugar on them. Place them in the oven at 200 degrees. Cook for about 5 minuets, stir them so they don’t stick to the pan. Roast for another 5 ish minuets, till the seeds are golden. This recipe looks yummy! I will have to try it with my guys. Thanks for sharing this recipe! I made pumpkin seeds a couple years back, but I think I may have burnt them… Do you have any suggestions about what to do with the rest of the pumpkin? Pies, bread, muffins? 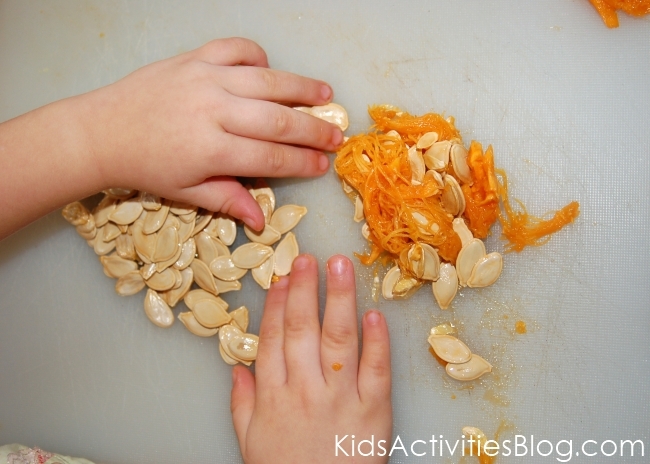 Something easy for kids, but also yummy and healthy! 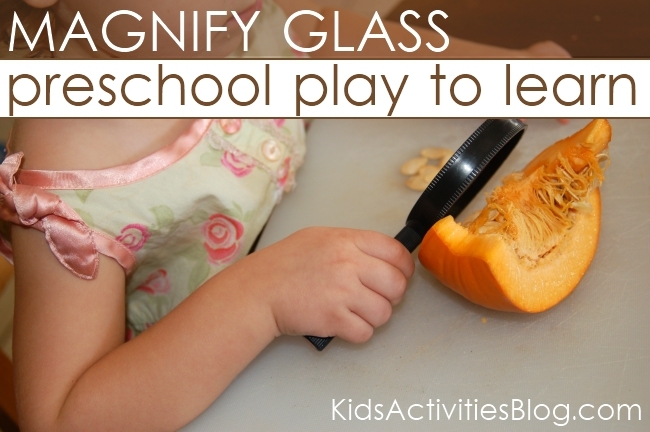 We love this article, it is so fun and helpful! Would you mind if we shared it on our social platforms? We are ‘The Learning Journey International’.